Every party needs a Birthday banner and this one is perfect for a Minecraft Gamer or a Minecraft secret birthday surprise for that geek who you know. 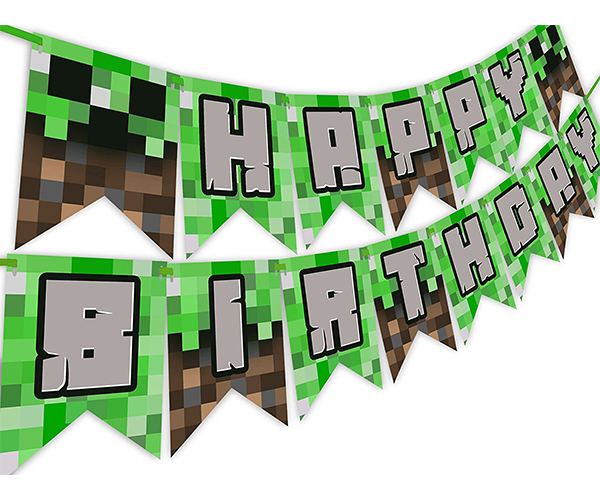 This builtcraft minecraft gamer 8bit pixel birthday banner is sure to bring a smile to that close miner in you’re life! Happy Birthday Cool Crater!